We don’t think about it much, but shovels are a big part of our survival. Without shovels, agriculture wouldn’t have been possible. 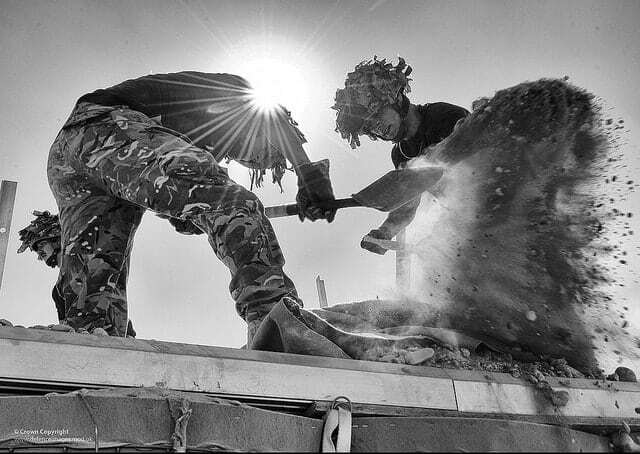 Shovels were crucial for building homesteads and cities, and entrenching tools played a big part in warfare. 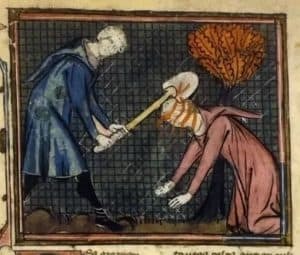 Heck, shovels are even in the Bible with Cain killing Abel with a shovel! Thanks to the boom in the backpacking, camping and preparedness movements, shovel technology has come a long way. Now, you can find all sorts of sturdy, lightweight shovels for survival and even EDC (everyday carry). 3 Why Do You Need a Survival Shovel? 4.1 How Will You Be Using the Shovel? Why Do You Need a Survival Shovel? 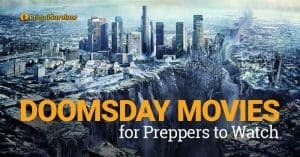 One of the first steps in emergency preparedness is to build a Bug Out Bag. While there is no one “right” way to build a Bug Out Bag, virtually no BOB would be complete without a shovel. Before we get into the best survival shovels, it is important to know what to look for. Survival shovels come in many different types and with various features, and not every shovel will be suitable for your needs. How Will You Be Using the Shovel? Will you be carrying the shovel for long distances? Then you need a lightweight shovel with a carrying case. Will you need to dig large holes, such as trenches or shelters? Then you need a sturdy survival shovel with a longer handle. Military-style shovels are great for these tasks. It is also nice to have sharp blades for cutting through thick roots. Will you mostly be digging small holes, such as for sanitation? Then a smaller shovel or trowel should be adequate. Will you need to dig through snow or make a snow shelter? Then you’ll need a snow or avalanche shovel. First off, avoid plastic shovels at all costs. Yes, they are cheaper and lightweight – but they break quickly and are unreliable. That leaves you with various types of metal to choose from. High-carbon steel: This is stronger than regular stainless steel, but must be covered with oxide paint to prevent corrosion. The problem is that the paint often chips off. Aluminum: This material has the benefit of being lightweight, but isn’t as strong. Don’t forget to look at the shovel handle material. Many cheap survival shovels have plastic handles which break easily. Handle length: The longer the handle length, the easier it will be to use – but the length will also add weight. Blade size: Bigger blades can make tasks go faster, but also mean that you’ll have to put forth more energy. Those big blades can also make it tough to dig around rocks and chop roots. On the flip side, digging a trench around your tent with a small blade is going to be very time-consuming! Blade edges: Many modern survival shovels have features like serrated edges which can be used for cutting through roots. Narrow: Good for tasks like digging a sanitation hole and pitching a tent. Wide: Good for tasks like leveling earth, making snow pits, or digging large fire or latrine pits. Pointed: Good for digging in hard earth or making small, deep holes (such as sanitation holes or holes for shelter stakes). Flat: Good for wider, shallow holes such as fire pits or digging snow caves. The most popular style of survival shovel is folding handles. Folding handles mean you can just flip the handle and it is ready to use. However, the downside is that the handle is usually very short. Another option is to get a shovel with a handle that screws together. This means that you can have a much longer handle – but it takes time to screw those parts together. You also risk losing one of the parts. 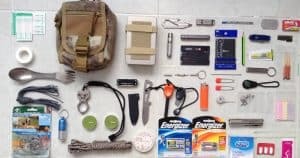 Have you checked your Bug Out Bag weight? Anything above 15-20% of your bodyweight is going to get heavy quickly and be hard to carry long distances. Thus, weight really matters when choosing a survival shovel! In addition, pay attention to shovel attachment options. You don’t want to put a dirty shovel in with your other gear, so it’s very helpful if your survival shovel is MOLLE compatible or has a carabiner attachment option. Many modern survival shovels are also multi-tools with saws, picks, and blades built into them. These are great for adding functionality without adding much weight. Just be careful – many multi-tool shovels are actually gimmicks that will break on you quickly! This is one of the most popular survival shovels because it is very portable. The serrated edge also gives it some more functionality. For removing lots of dirt at once, the deep scoop of the shovel blade is helpful. I hadn’t tried this shovel until some readers put me on to it. I’m glad they did! As a shovel, the Cold Steel is great. Tough as a tank, you don’t have to worry about the shovel breaking on you. In case the handle does ever break, it is easy to replace. Note that the product image is a bit deceiving. The edges are a lot sharper than they appear. This makes it great for cutting through tree roots (just remember to hone the edge!). My main complaint is that the shovel doesn’t telescope or fold. You are stuck with the 20-inch handle, which means your back will hurt like hell from stooping over. Not only does this survival shovel look completely badass, it actually delivers on quality. 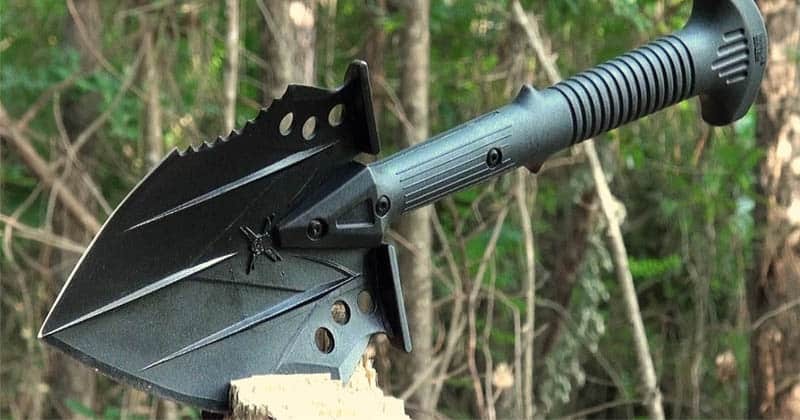 While it might not fold down, it will be ready if you need to use the shovel to whack an attacker on the side of the head for self-defense. Here’s another survival shovel which is too heavy to carry in a Bug Out Bag. However, it is perfect for your vehicle – especially since this is the survival shovel with the longest handle length. If you don’t want to get down on your knees to dig or kill your back, you’ll want to go with this shovel. Simple in design yet great in functionality, this survival shovel is one of the lightest weight shovels you’ll find while still having adequate strength and a decent handle size. Here’s a great survival shovel for removing lots of dirt at once, such as if you need to make a trench, shelter, or dig out your car wheels. It isn’t the largest and it doesn’t have any extra features, but that’s what you’d expect from such a lightweight shovel. I love this survival shovel because it has so many tools built into it, but without weighing a ton like other multi-tool shovels. 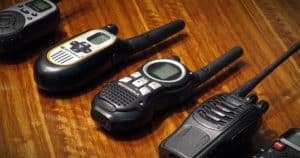 It’s a great addition to Bug Out Bags and for your vehicle emergency kit. Don’t forget about winter survival! Most of the other survival shovels aren’t suitable for use in the snow and bugging out in winter. They corrode too quickly and their blade shape isn’t meant for making snow caves. By the time you dug out your cave with one of those other shovels, your hands would already be frozen. The best thing about the Viole TelePro is that it is very lightweight, so you won’t kill yourself while scooping heavy snow. Because of its weight, you won’t want to carry this survival shovel in your Bug Out Bag. However, it is a great multi-purpose shovel to have in your vehicle, especially if you need to occasionally chop through ice. Finally, here is a backpacking trowel for people who don’t need a shovel often. The shape and strength of the trowel make it a heck of a lot better than trying to dig with a stick, and it won’t weigh you down or take up space. Do you have a shovel in your Bug Out Bag? Which one and what do you love about it? Let us know in the comments! Not seen that one. Would you recommend it? I would recommend the Cold Steel shovel over any listed actually, and it’s been around for a long time. It’s built like a tank, just able to handle a tremendous amount of abuse. Could also do some chopping work, and of course self defense. Think of it as a much better version of the M48 from the list. I agree with Brian’s comments. I bought the Cold Steel shovel years ago from a local military store. Those folding shovels are OK as long as you didn’t use them hard. I broke numerous e-tools by just digging, cutting small trees, etc. They all failed at the junction point. I used to be in the Infantry (75-80). They would get loose alot during use and it was a pain keeping them tight. Most of the failures were the small tube of metal that was inside the locking ring/knob. I think this is the weak point for that type of shovel. It just doesn’t hold up in hard use. For the others that screw together; another weak point is the reduced amount of metal from tooling the screw lines into it. I did buy a couple of these small ones just to see how they were made. Great concept/poor application. I will keep them to augment my BOB’s. My keeper; the Cold Steel 1-piece with a wood handle. Like the e-tool, I keep the edges sharp for cutting small trees or bushes. The metal piece of it is beefy; well made for a compact shovel. You could even drill a hole in the top of the knobby handle to store small emergency items such as a fire-starter (smallest one I saw at firesteel.com; ultra thin – only 3/32 of an inch). if you can’t find a screw-cap to close the hole, just plug it with some silicone sealant. No need for a striker; the shovel edge would do. The only drawback I see is that is won’t fold to use as a hoe. That is a minor thing to me since I am looking for reliability. I’m sure you could fashion something in the field to be able to use it as a hoe. The cover is very well made. I think it’s cordura. I read some things on the Cold Steel style before I bought it; that it is used by some military forces. With the beefy design, past experience, and use by the military, I agree, this is be my top choice. Great write up Kozzy – thanks for the insight. All these shovels have their place – depends what you are trying to achieve. What about the cold steel special forces shovel, I have owned and used one for many years,. Light weight, durable, great chopper and digger, works well as defensive weapon, even balanced for throwing, affordable, cons: does not fold, cannot turn blade 90 degrees for use as a trowel. Yep seems to be a favorite of Primal Survivor readers. We will add it to the review. If you plan on sheltering in place, make sure you have a round nose #2 shovel. One of your greatest enemies will be dysentery.. Digging a tiny little hole in the backyard or a series of them may allow for the spread of this dreaded killer. Heavy rain or spring melt may have feces escaping. Before you discharge dig a reasonably deep hole. I have read where one expert recommended two feet. Some friends began outfitting in a western state . They began by telling clients to cover their waste with a rock. it didn’t take long before “clean” rocks were hard to come by. I get pretty skeptical looking at all the so called “survival” shovels that have tons of extra tools. The Baaland All-in-one shovel above is a perfect example. It has a flashlight, screwdriver, emergency charge converter, rescue knife, USB charging cable, rope, ice axe, whistle, hemostatic hose, light filters, nail puller, and handle also serves as a hammer. There’s more on the website, but the long and the short of it is what quality are these tools if you can get all of them for $75 new? 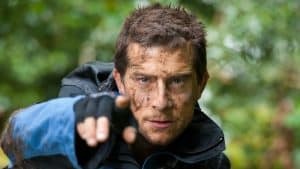 Plus, If you’re counting on your shovel to be your flashlight, knife, screwdriver and ice axe (for god’s sake, an ICE AXE, really?) you’re underprepared, and asking too much of one tool. Lastly, these kind of additions tend to increase the number of failure points dramatically, meaning you shouldn’t depend on the tool in a survival situation. I understand a lot of them will be used for recreational camping, but if that’s the intended use then they’re not really survival shovels are they? My choice is the WWII era entrenching tool. No, it’s not fancy but the two I own have seen extensive use since their birth upwards of 70 years ago and are still going strong. Mine were made by Ames in 1945, and are known as the M-1943. They can be locked into three separate positions for use as a shovel, pick/hoe, or “axe”, though the axe function is probably closer to a machete than a proper axe. Avoid the type with the added pick on the back. It’s not that useful, adds weight, and is easy to hurt yourself with on the backswing (ask me how I know). Specs are roughly 3lbs weight, 20″ folded, 29″ unfolded. Since it has only one (very strong) locking hinge the failure points are decreased compared to many of the above models. 3lbs is within the range above, though heavier than ideal for a BOB, but it’s an incredibly solid choice for an INCH (I’m Never Coming Home) bag. You can generally find them on eBay or army surplus stores for $20-$30. If I’m going to add a heavy tool to my BOB it’ll probably be a pry bar of some type for forcing doors/windows and destroying walls to create a door where there is none. Most digging that needs to be done in a BOB timeframe can be accomplished with your knife or sharp stick, and your stainless camp mug. Lots of readers agree with this sentiment. The cold steel special forces shovel reviewed above, seems to be the choice if you are looking for a simple, effective workhorse. I’ve a Vietnam war era US Army entrenching tool with the Pick head and Spade. This tool comes in a canvas boot which fastens to the old web pistol belt as issued to our troops back in the sixties. I like it because the multiple angles you can tighten the collar down on the heads; the Spade and the Pick. I can make a shovel, hoe, a pick or a maddox simply by tightening the collar down once I’ve the heads angled the direction I desire. Granted, its probably heavier that the examples you’ve listed here but, it fits into its canvas pocket and hangs from the pistol web belt… Pretty comfortable to carry. Ah, now that I’ve “Dug” it out (pardon the pun) I’m surprised to discover that my e-tool is a WW2 vintage item. Thanks! He and I used it on the camping trips. It was in the car for digging out if we get stuck on poor back country roads. It dug our camp latrines and even the compost pit he dug by every garden. I learned to dig with it before I could handle the short or long shovels for the garden. So a three year old can use it and so can a 70+ great grandma. Sounds similar to the Cold Steel reviewed above. There seems to be a definite preference for the simpler shovels. Less to go wrong and stand up to a lot of abuse. Interesting comment, thanks clergylady. One might want to consider the “Crovel”, although a bit heavy and pricey for a BOB, it does combine shovel/crowbar/defensive-offensive capabilities. The crowbar is especially useful for urban situations i.e. forced entries. Interesting product – will try to get review up. Thanks for the heads up. I have spent 13 years digging ditches for sprinkler systems near two feet deep in SE NM and we have about 4-7″ of topsoil before 3-5 feet of bedrock most everywhere around me. ?I have dug in pine forests with much rock and no rock, aspen root infested forests, red sandy hellpits of gravitational debasement, and regular ole dirt and a PRYBAR was useful for all of them. Except the red sand, nothing is useful in red sand. +1 misneac’s prybar paragraph. https://roganusa.com/ makes a great run of prybar oriented belt and pocket tools, think ‘knives you dont break tips off of’. I have a 3/4″ square 36″ steel prybar by my bedroom door. A BUG OUT BAG means you might come back, and you probably dont need a shovel for that, an INCH bag means ‘this place is done being safe for me’ and you gassin on out where the cold steel shovel will never cease to shovel. It will get dull, yes. It may stop scraping ferro rod sparks, sure. THE COLD STEEL SHOVEL WILL NEVER CEASE TO BE A SHOVEL. Until you break the handle, but if you plan to ‘survive’ where there is no access to woods, even soft woods, you’re behind. Desertous region here and there are copses of elm between businesses in a ditch in at least one spot in my town. Yep lots of love for the cold steel here. Just restored a “U S, WOOD, 1945” Army folding shovel. I would like to know if “Wood” is a forging company. Also, were these tools forged? Very hard steel. My theory is that steel was heated to between 1300 and 1800 deg. F, then stamped. Please help. I would like to see this tool, weapon on Forged in Fire as an “Iconic Weapon”, they were also used in combat against German Soldiers. Not sure but if any readers can help they can chime in here. Came back to this article as I wanted to say I got the Gerber E-Tool for Christmas. Played around with it a little so far and I’ve liked it. I’m going to give it a bit of a workout come spring as we work in a new smaller garden and see how it goes from there. My Cold Steel shovel is still going strong too, so no changes there. Thanks for the update Brian. We should have an in-depth review of the Gerber going up soon.